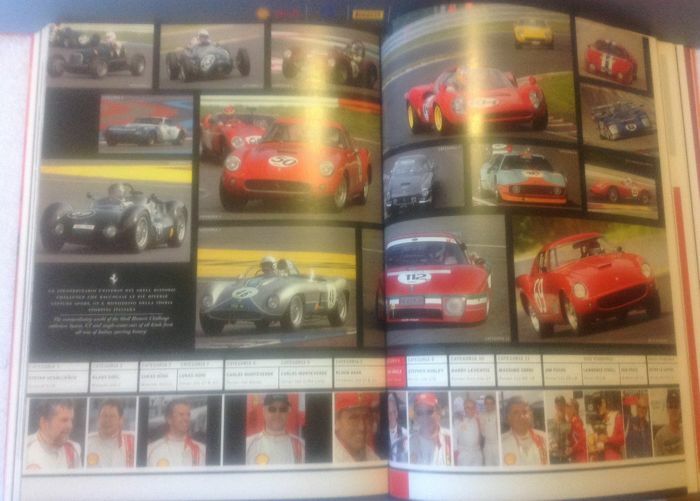 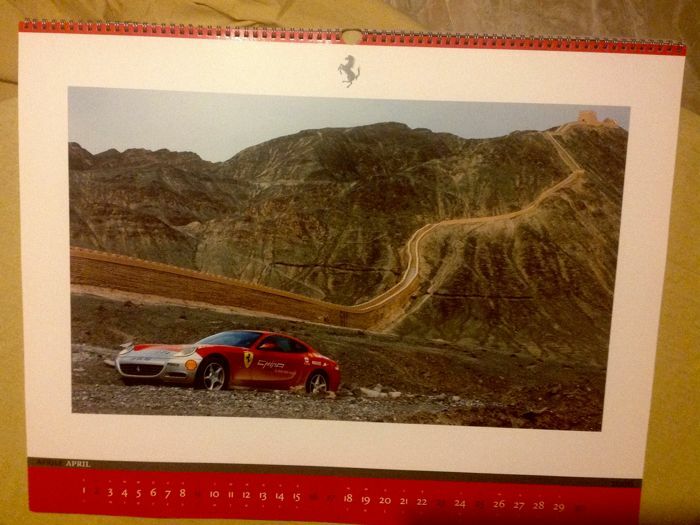 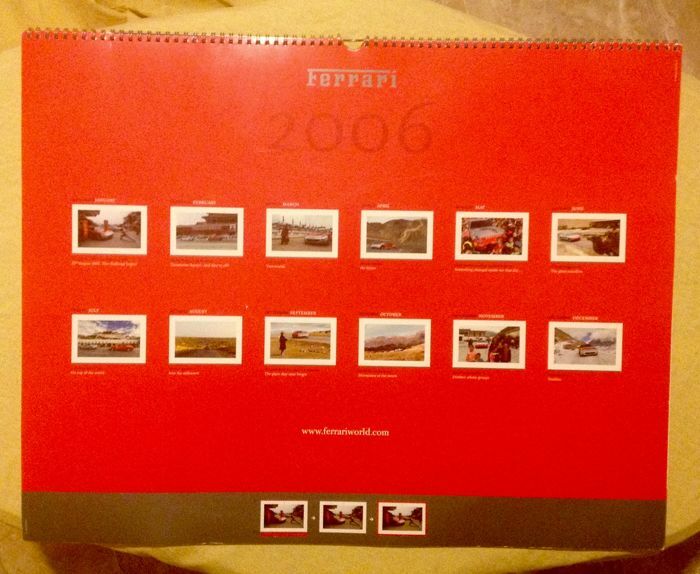 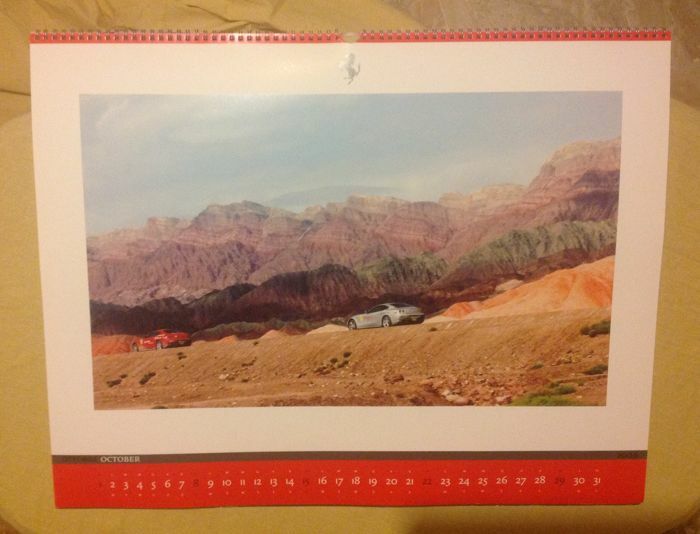 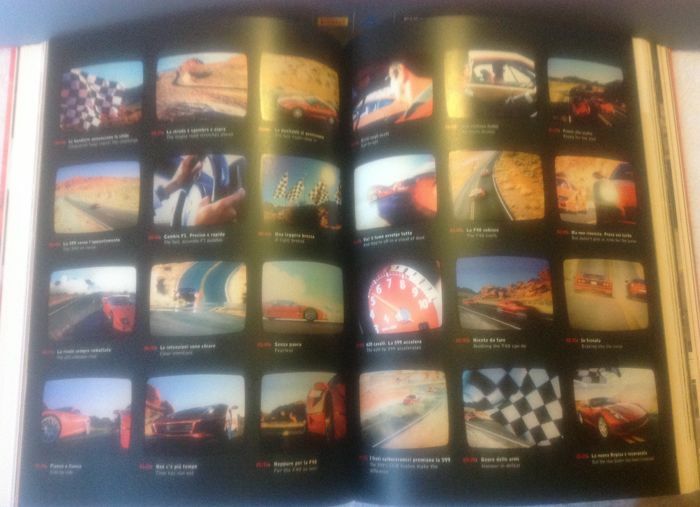 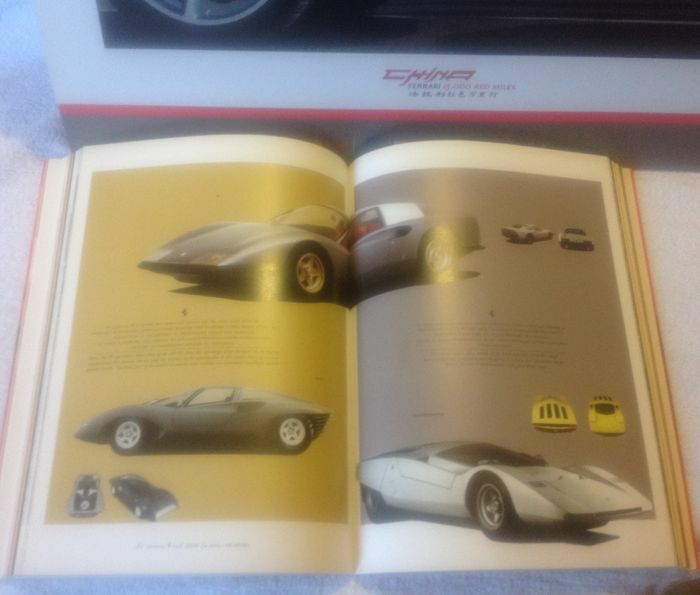 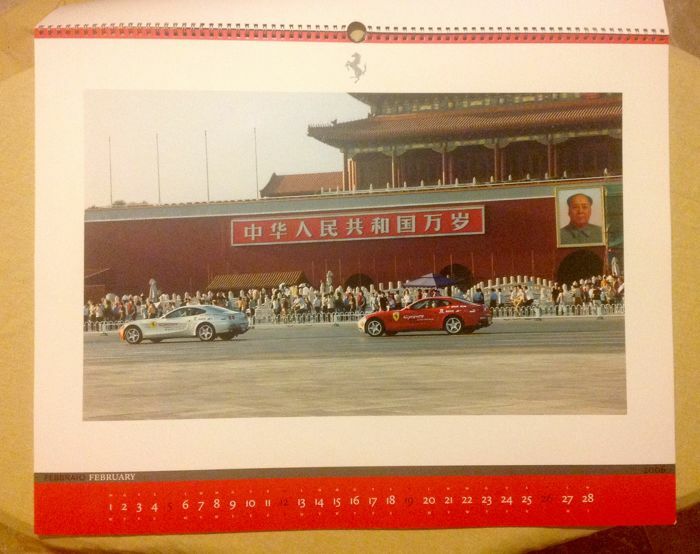 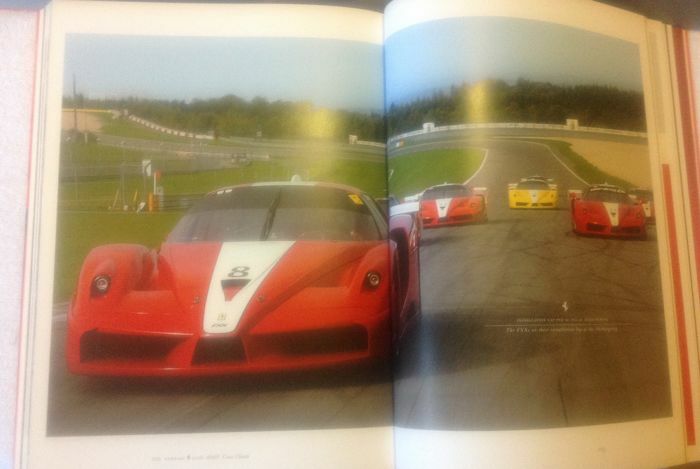 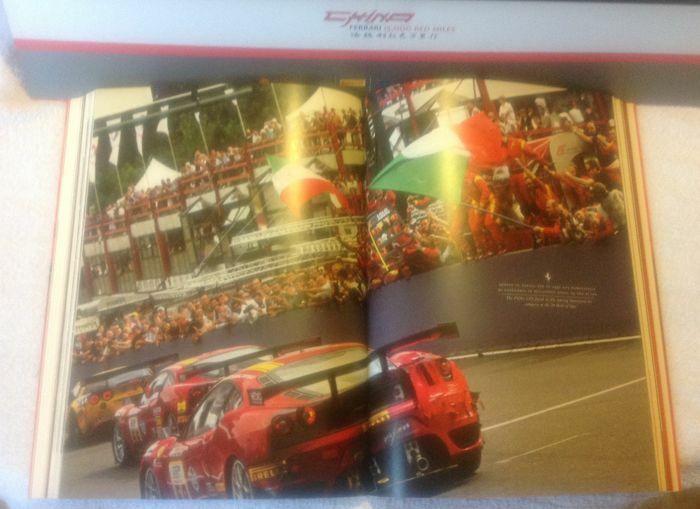 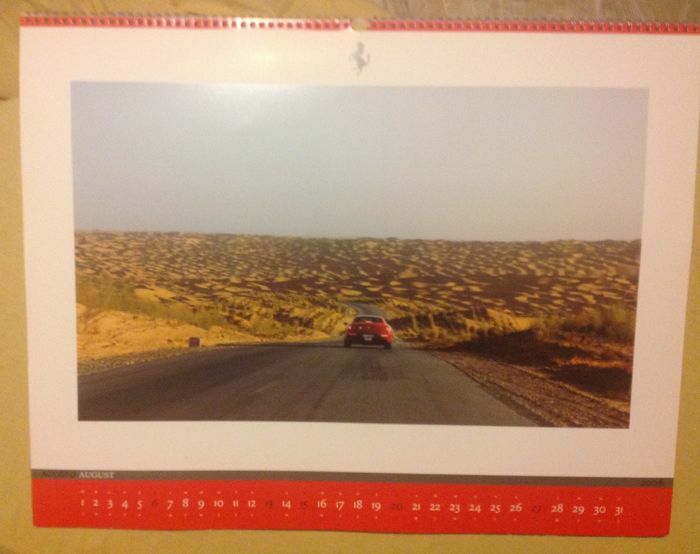 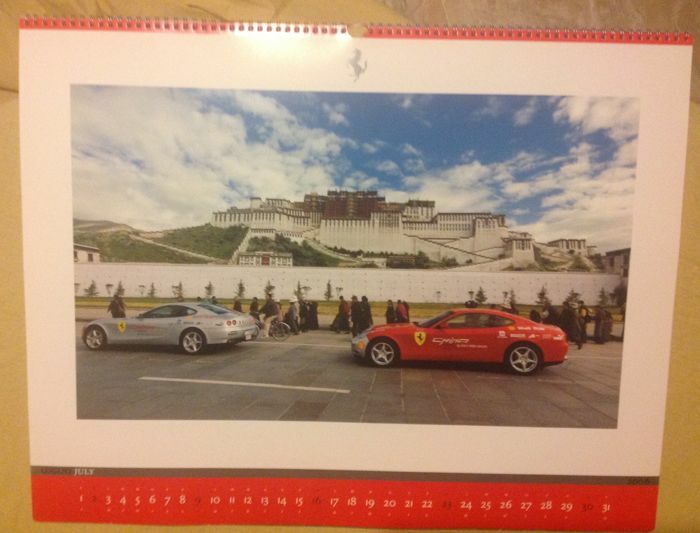 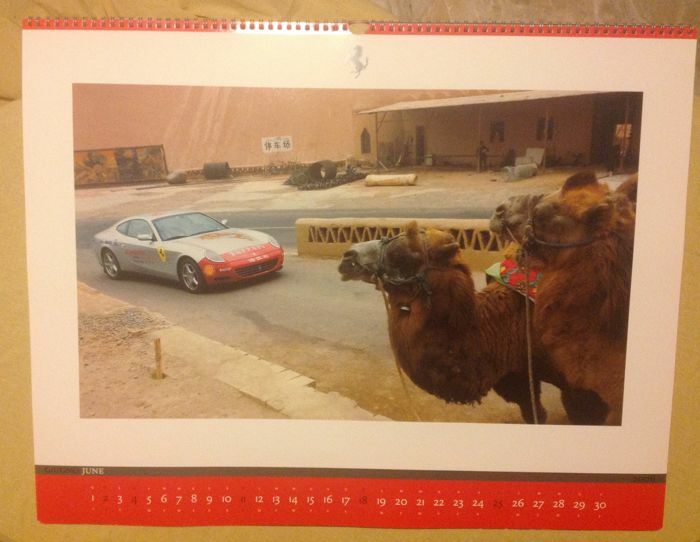 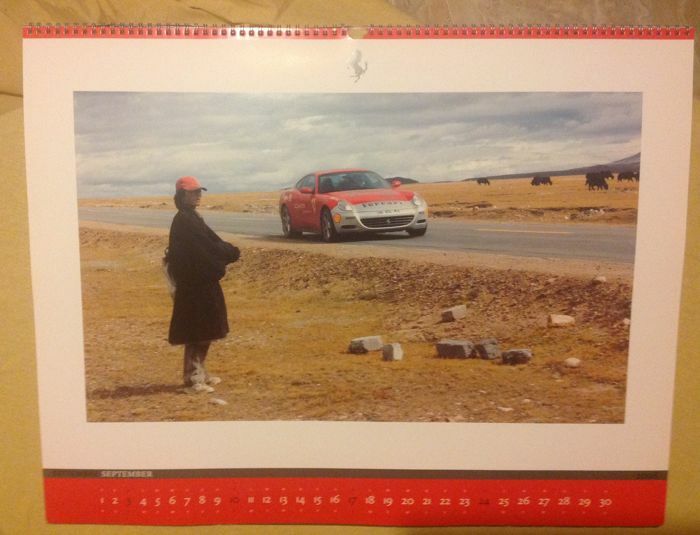 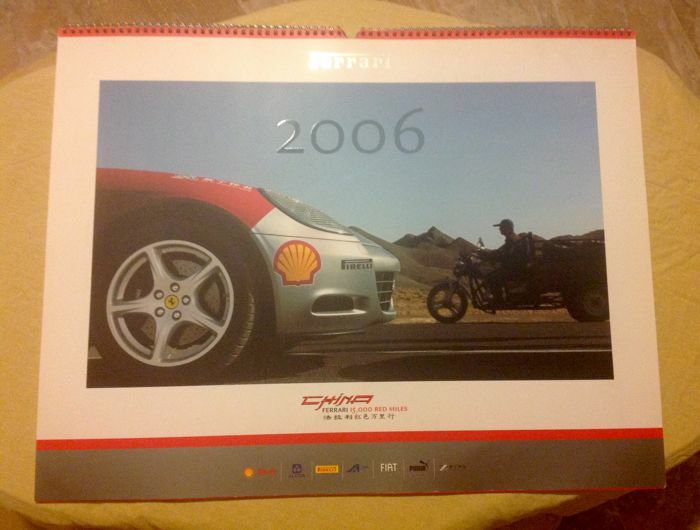 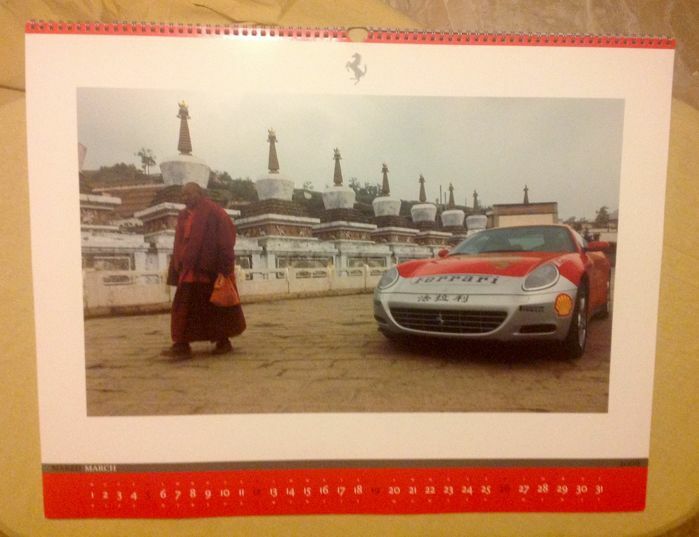 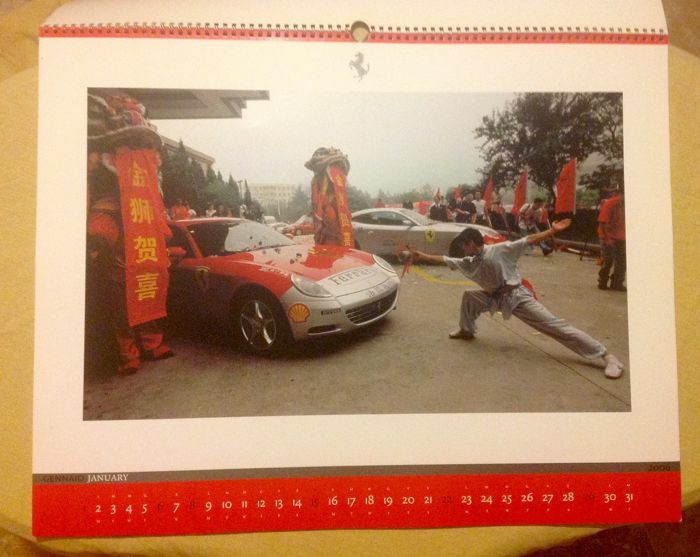 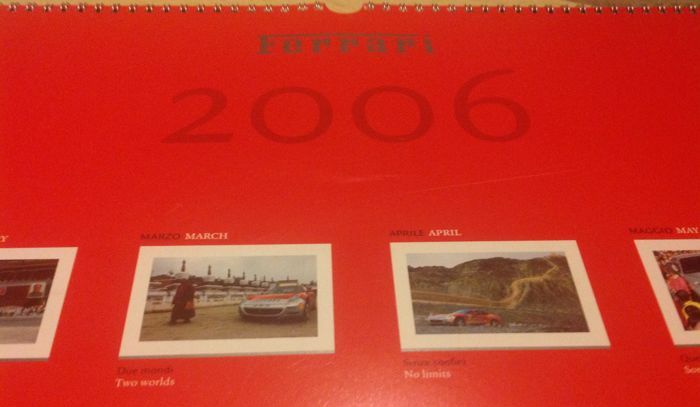 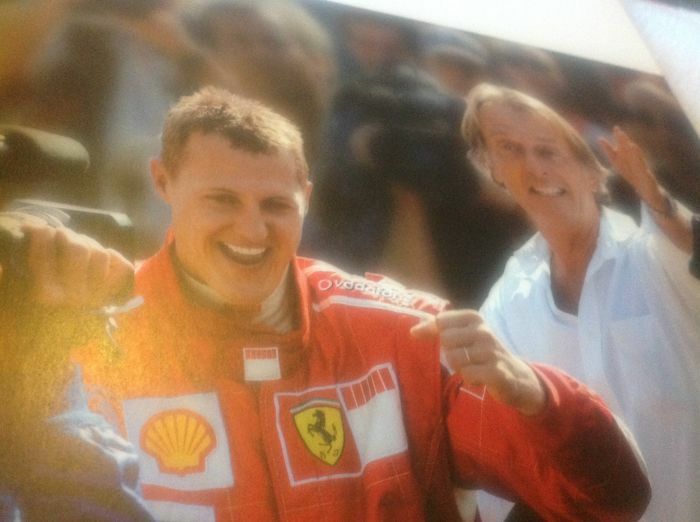 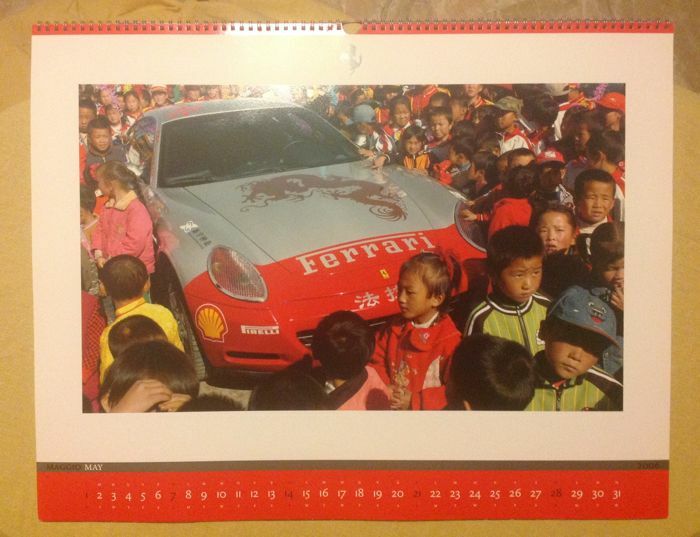 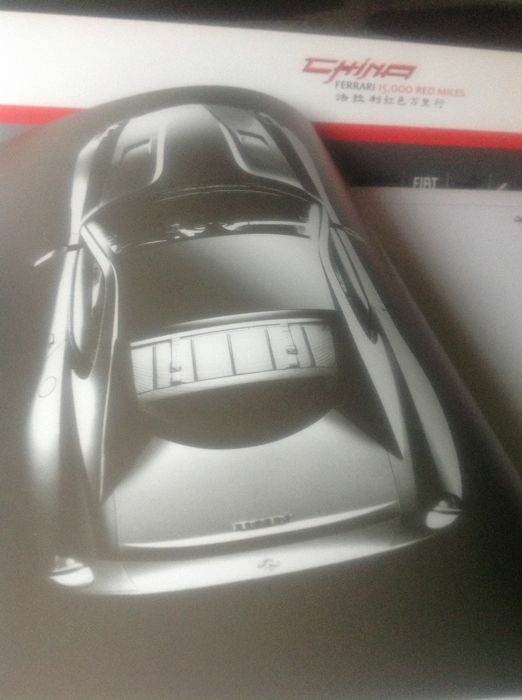 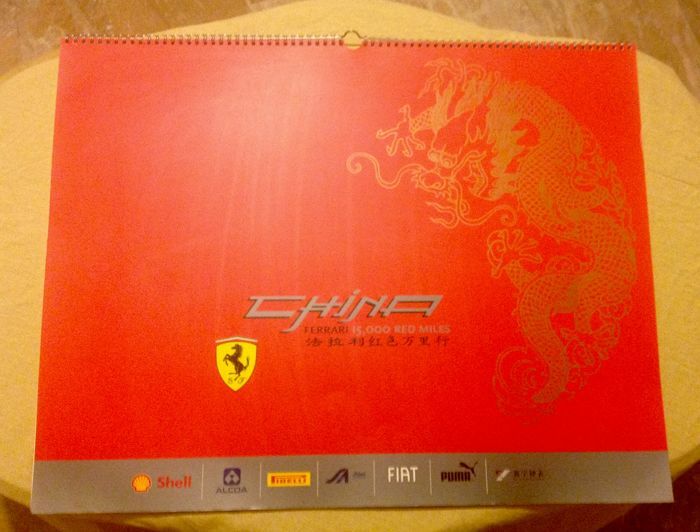 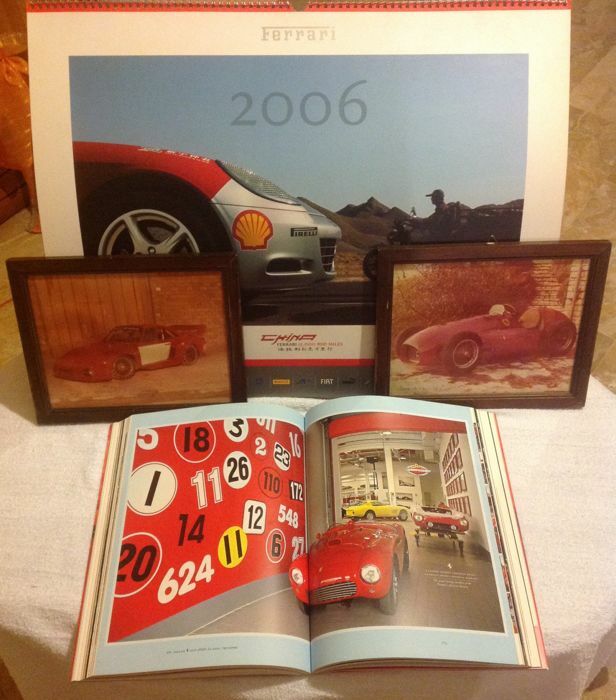 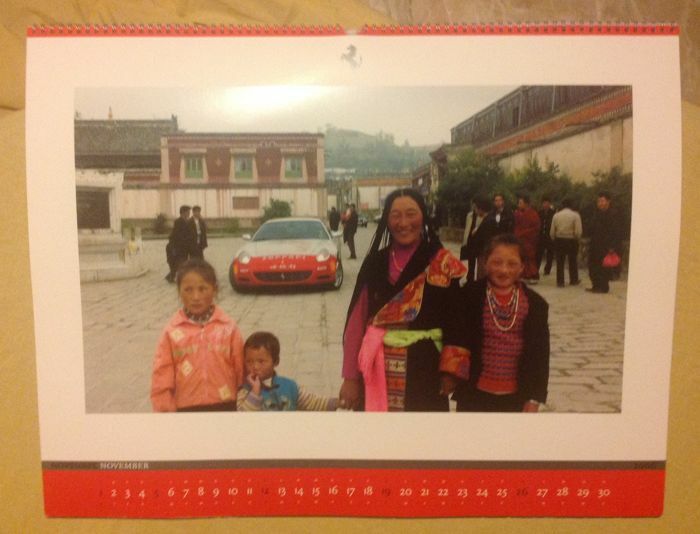 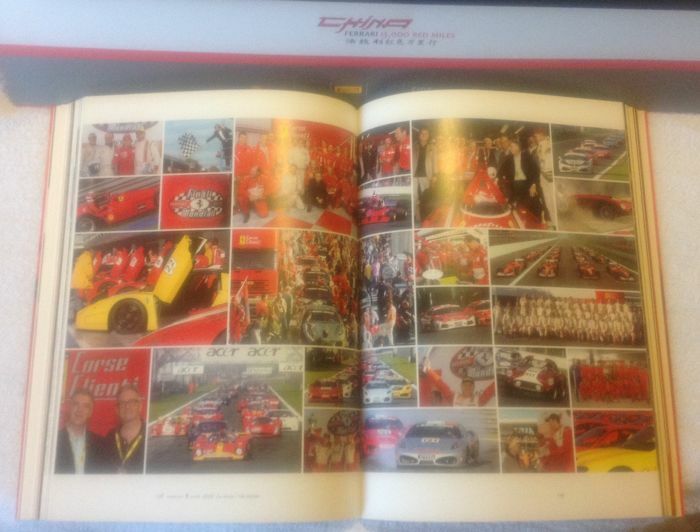 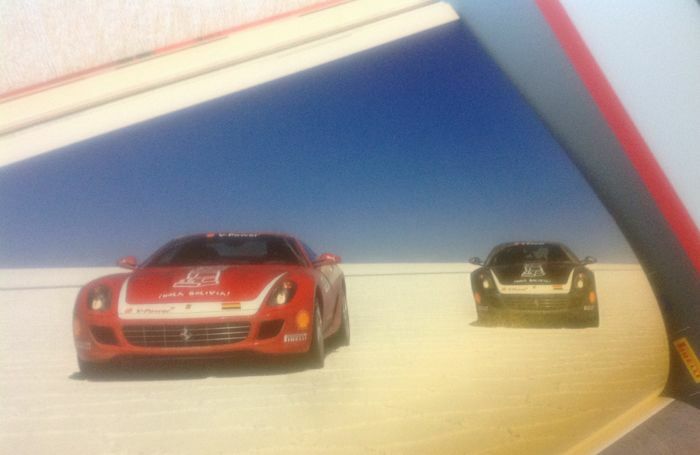 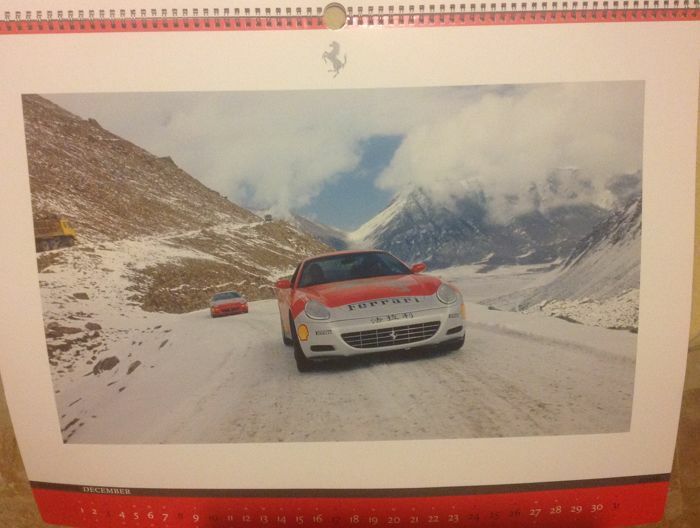 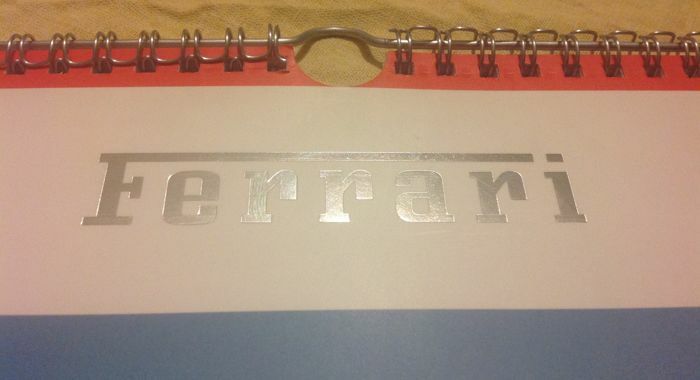 Calendar published by Ferrari that documents with beautiful HD photos on glossy paper (32 x 52 cm. 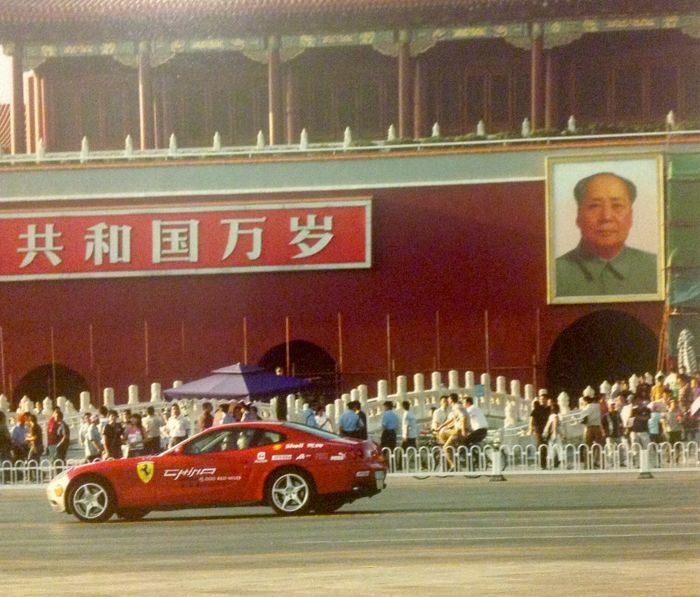 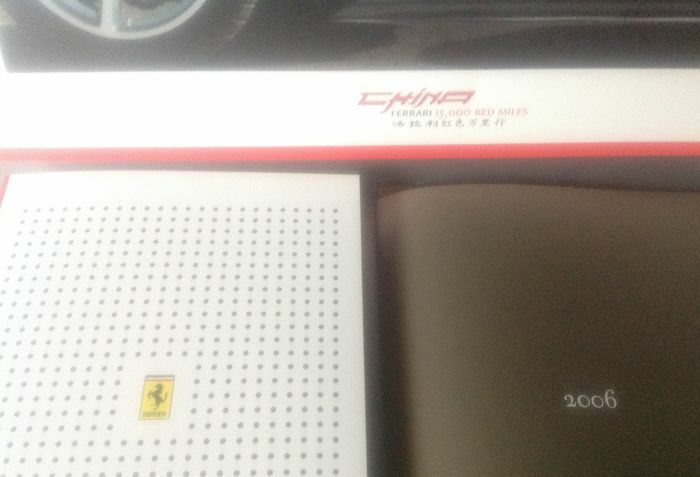 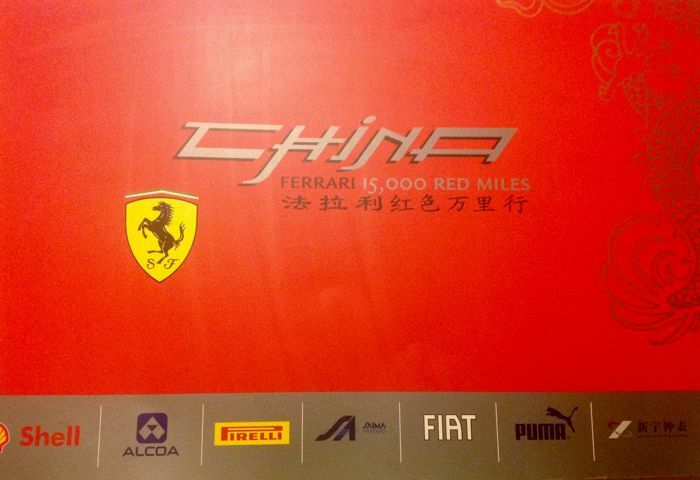 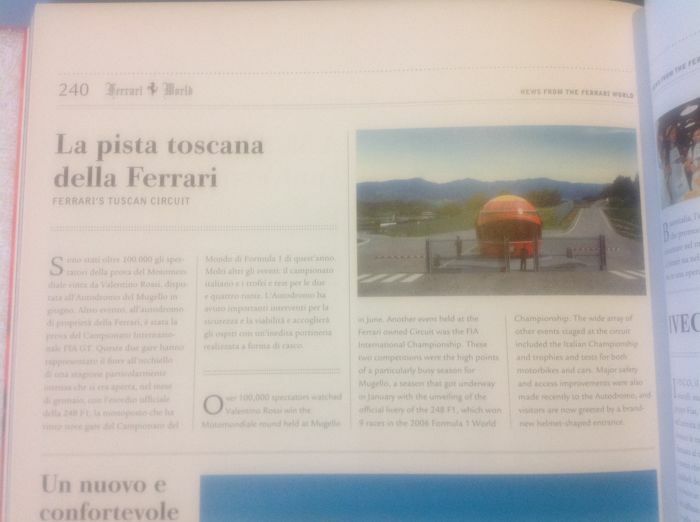 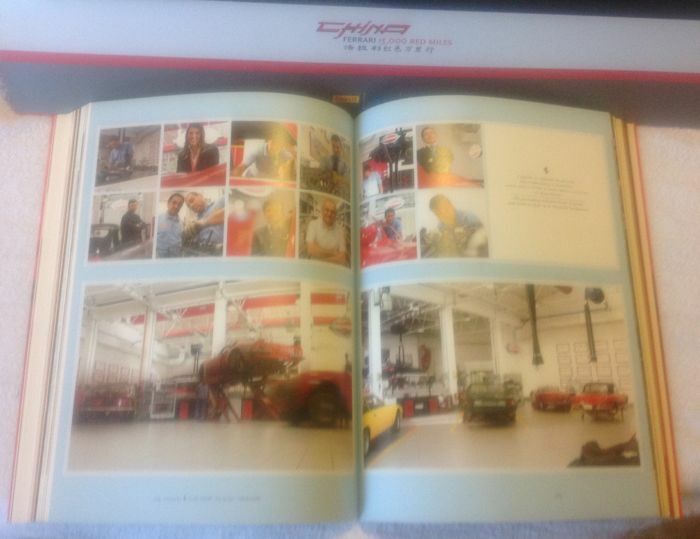 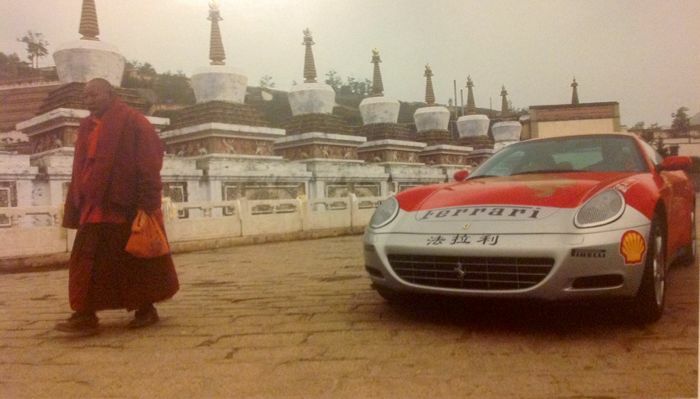 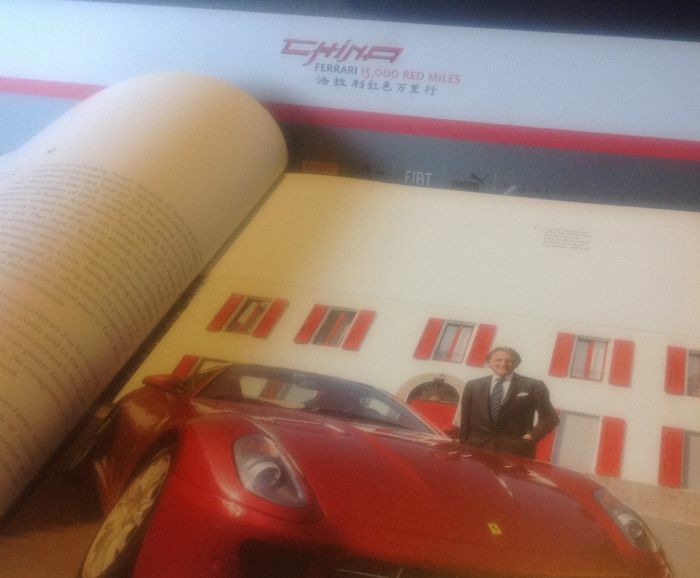 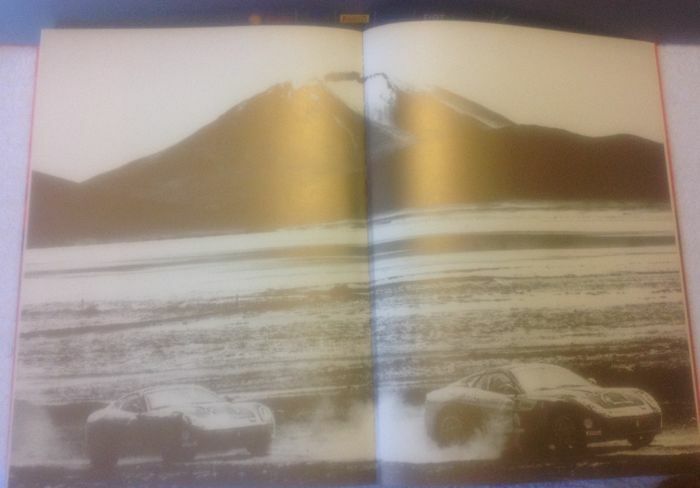 ), the raid of two Ferrari 612 Scaglietti who completed in 2005 the "China Ferrari 15,000 Red Miles". 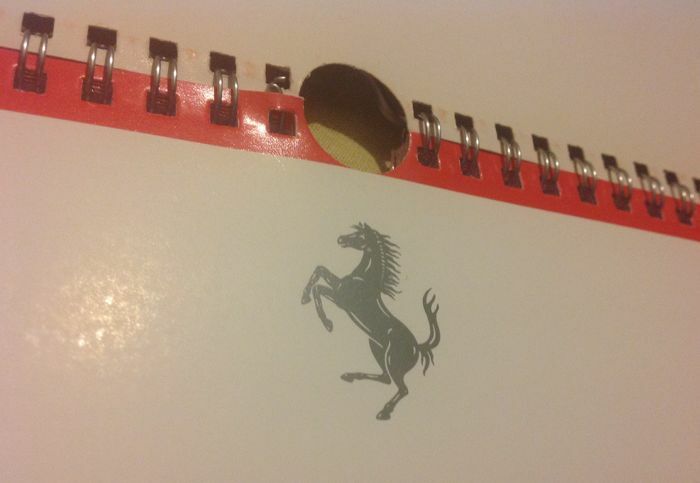 Only a few scratches on the front page (cover). 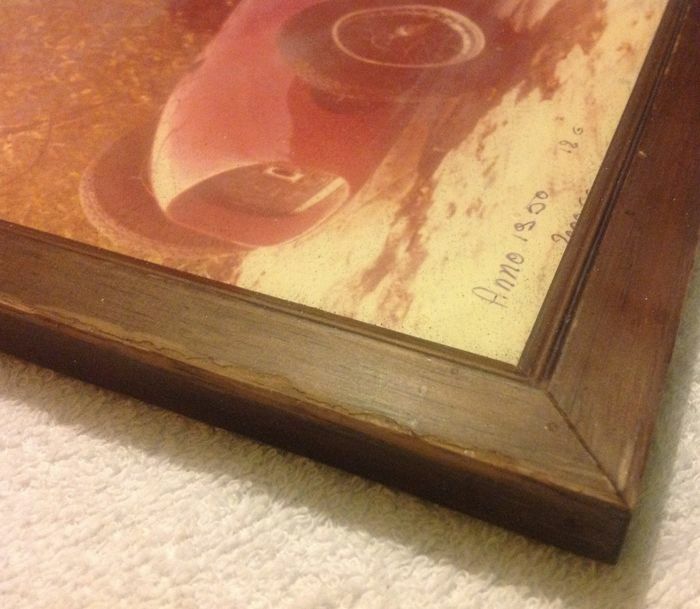 Given the size and quality of the photos, they are perfect to be individually framed so to get beautiful collectable pictures. 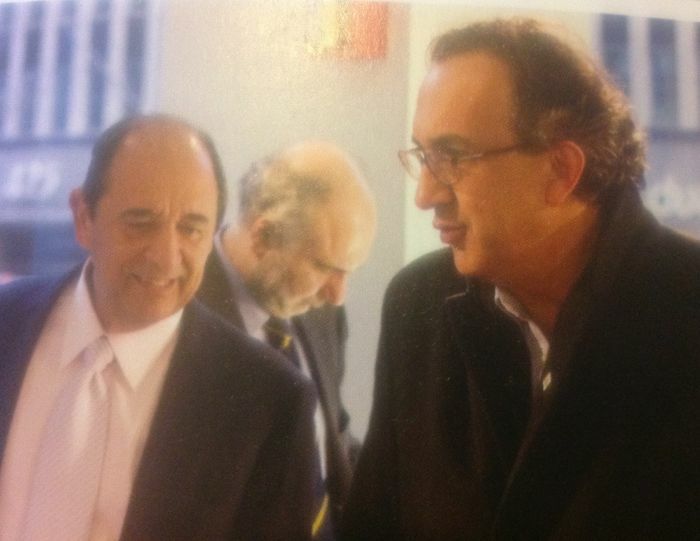 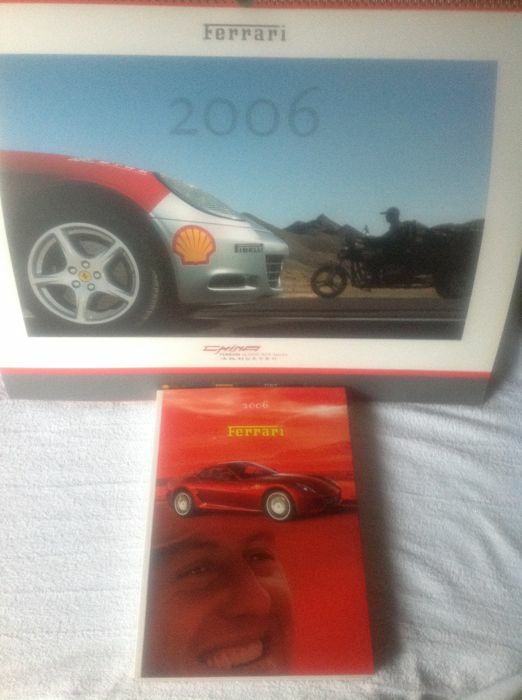 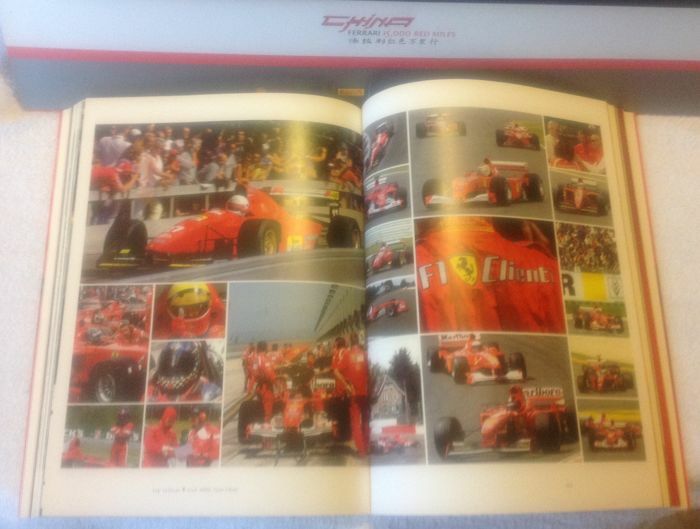 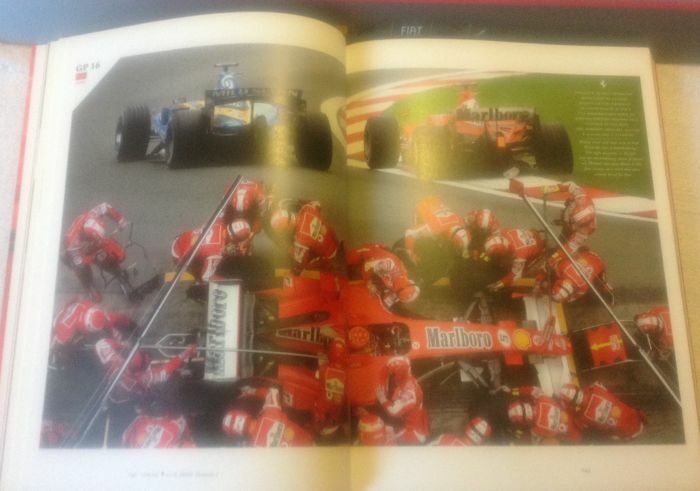 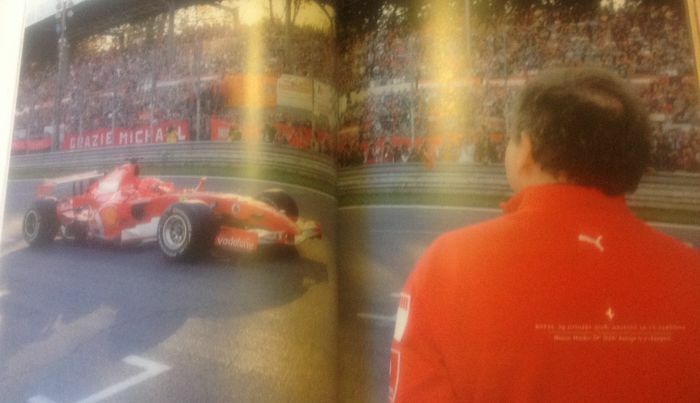 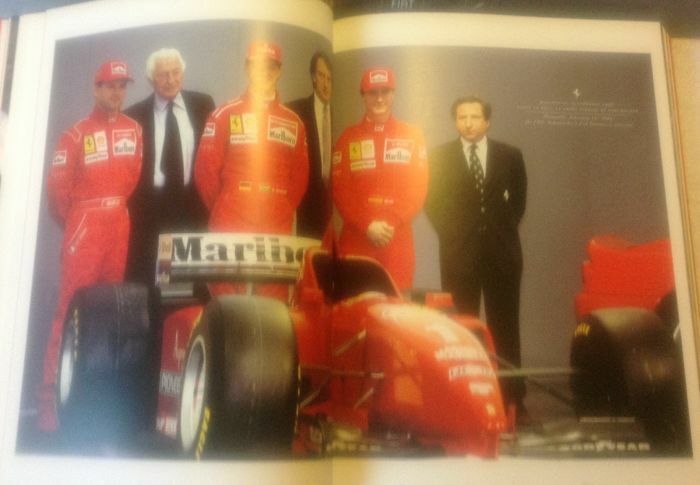 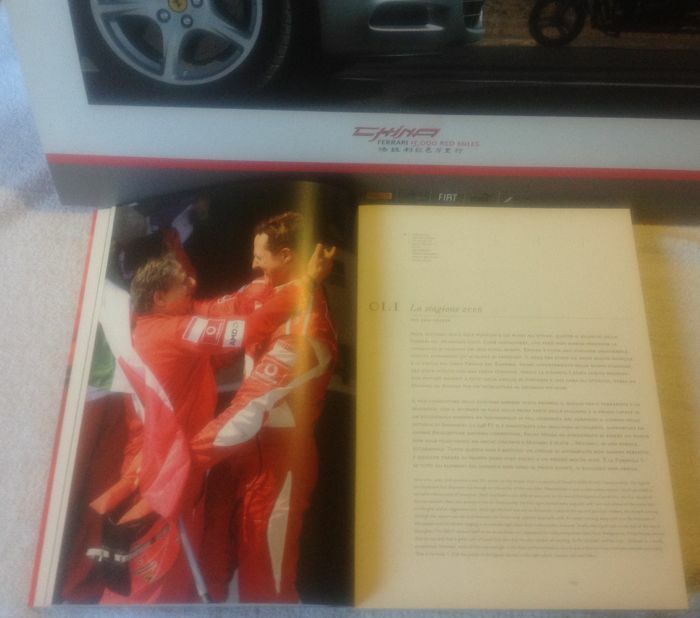 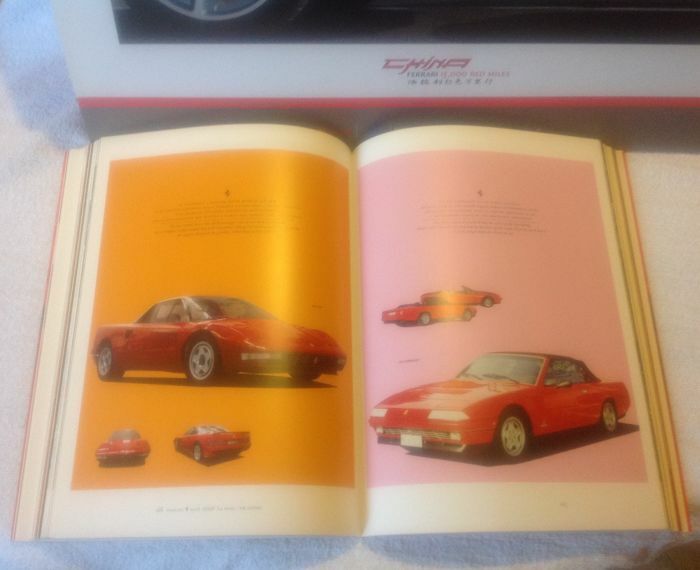 It is part of the lot the official Ferrari magazine of the same year (2006), with glossy 280 sheets and high definition photos. 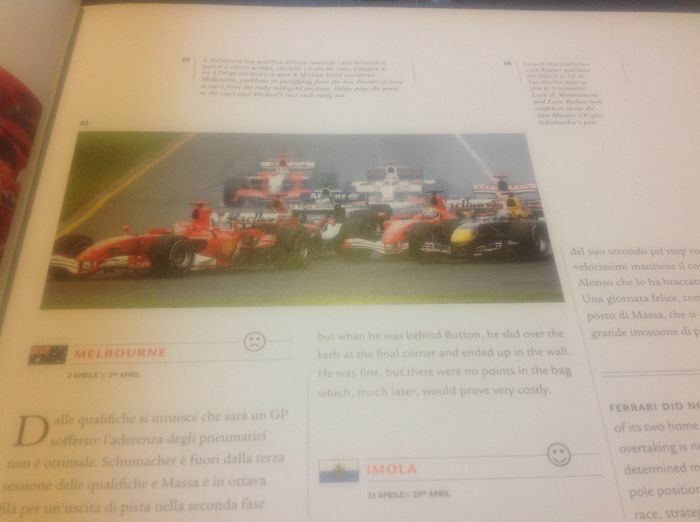 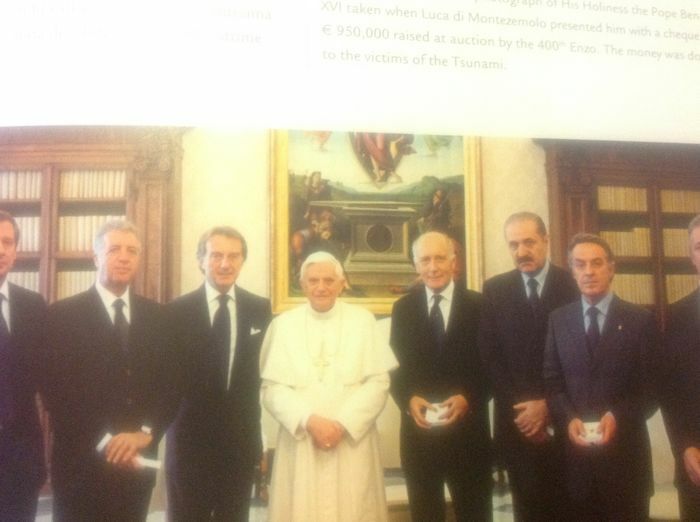 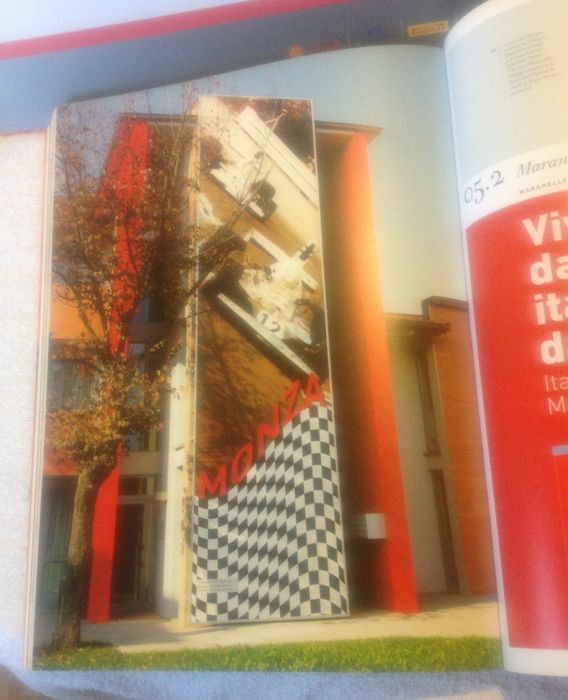 Italian text with English translation. 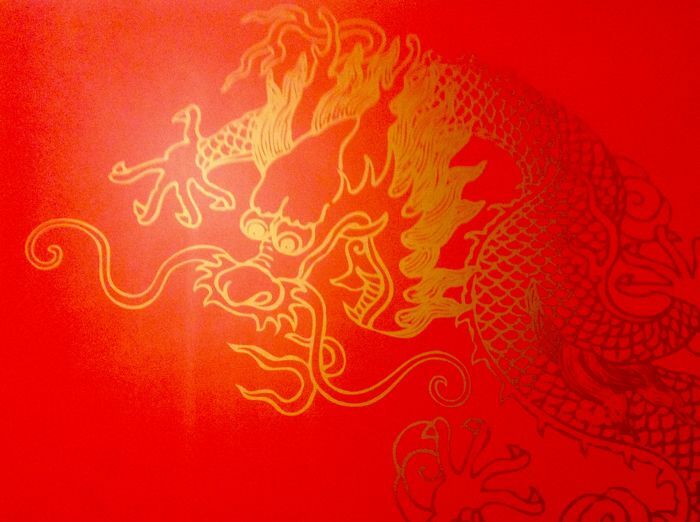 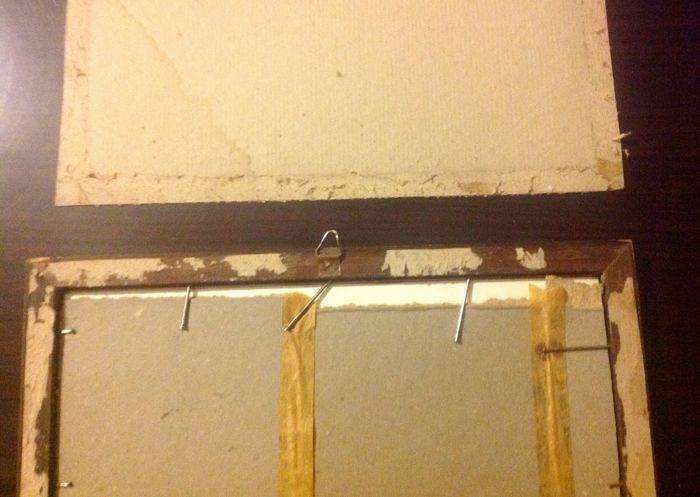 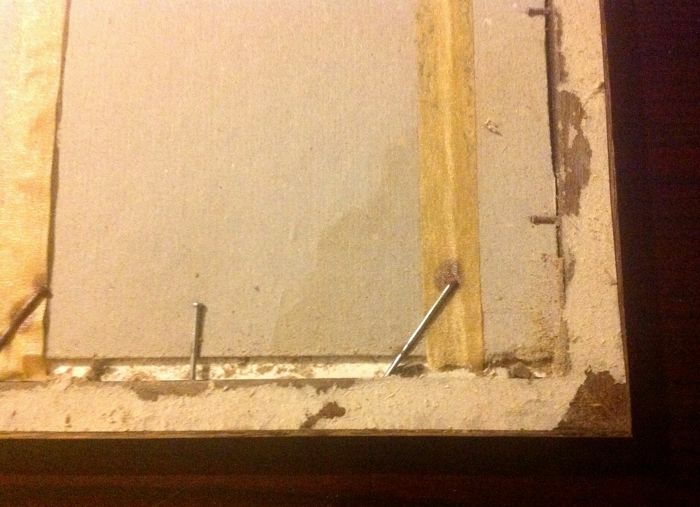 Traces of normal wear and tear from consultation on the cover. 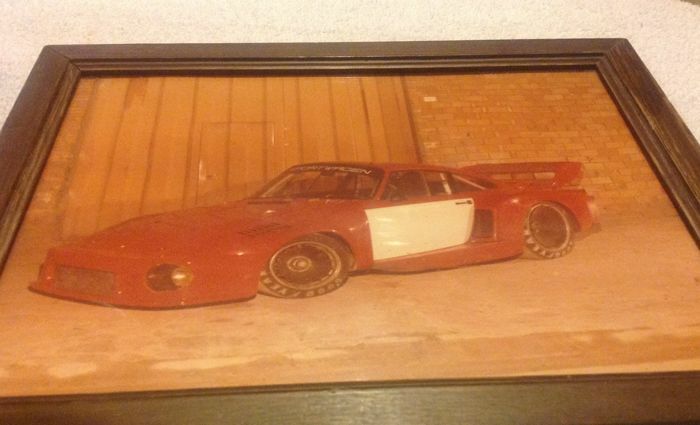 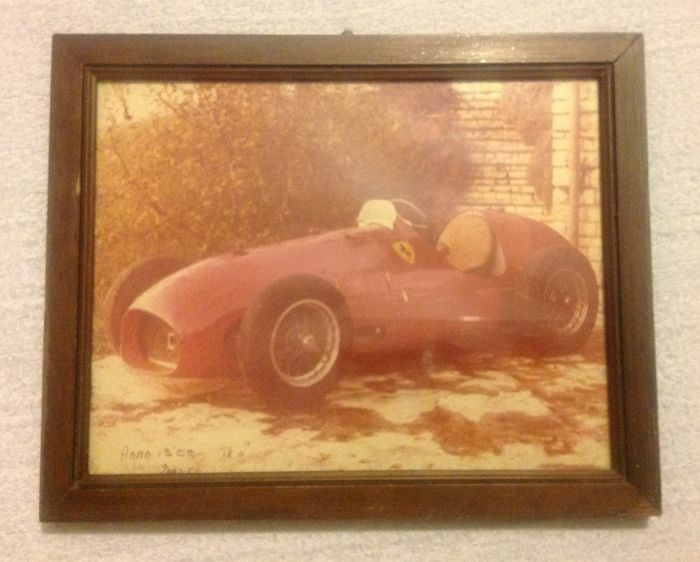 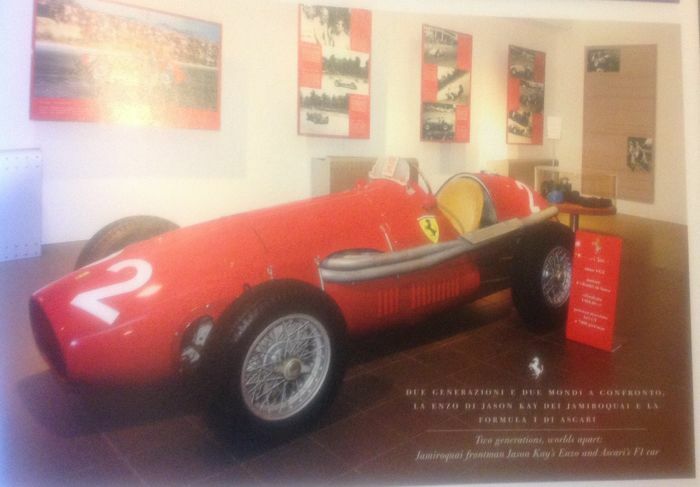 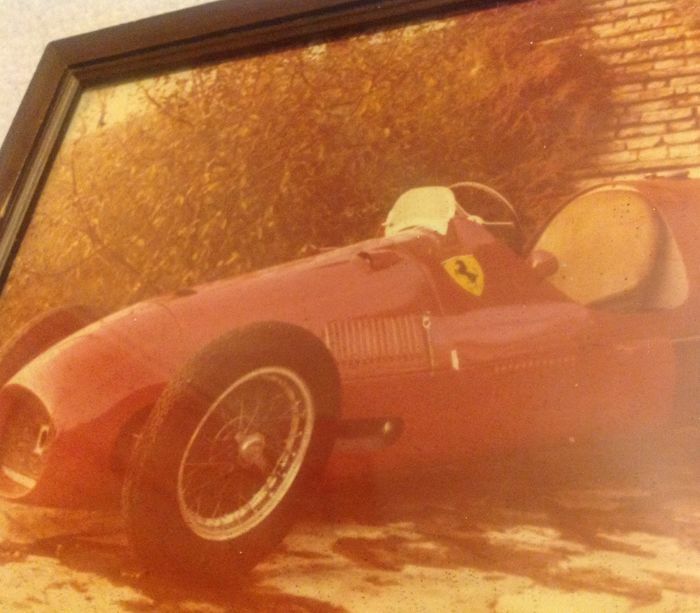 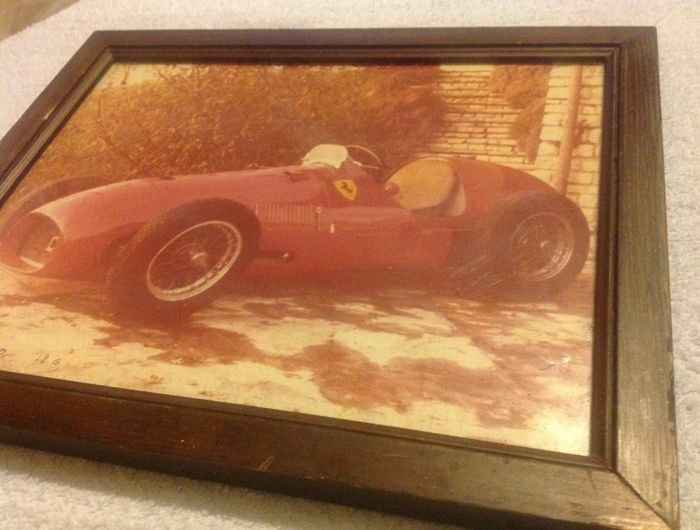 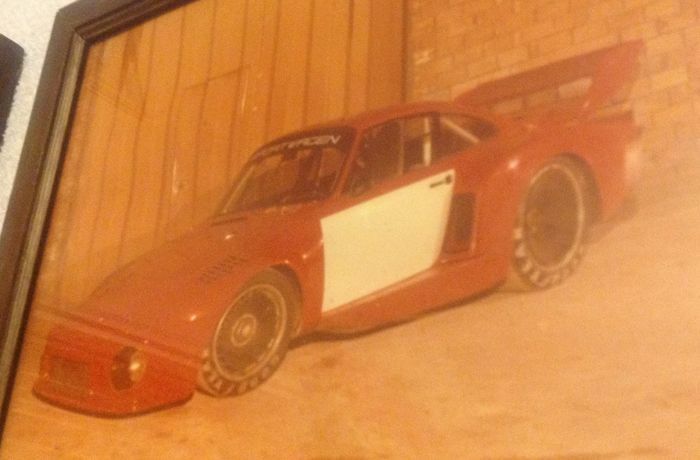 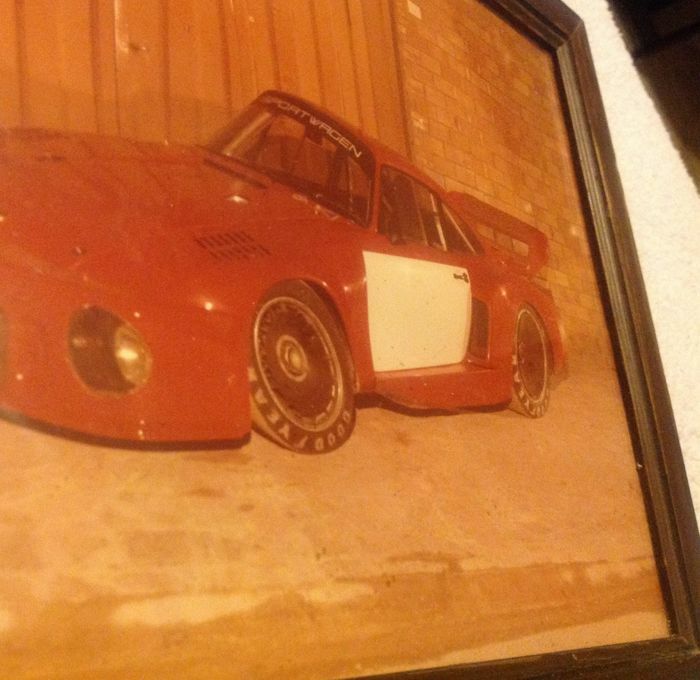 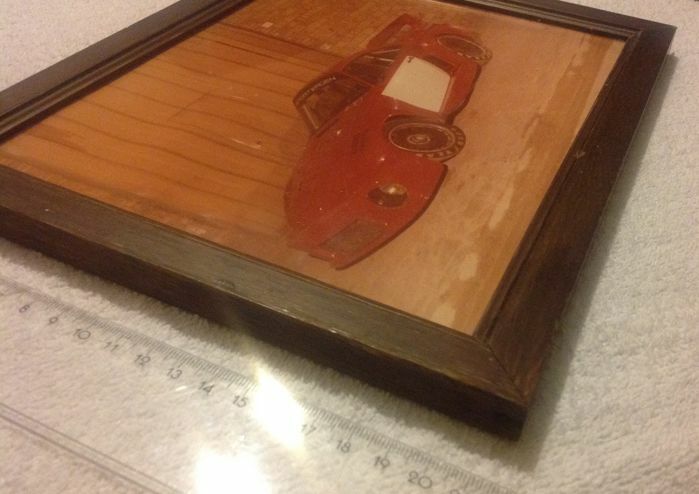 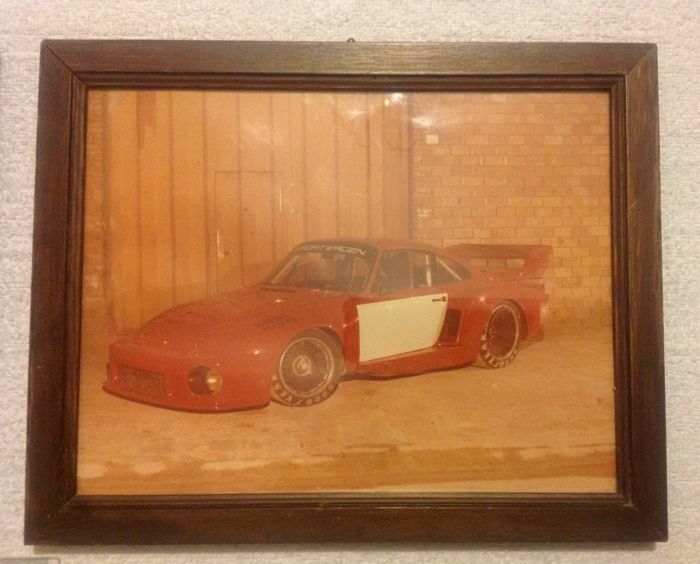 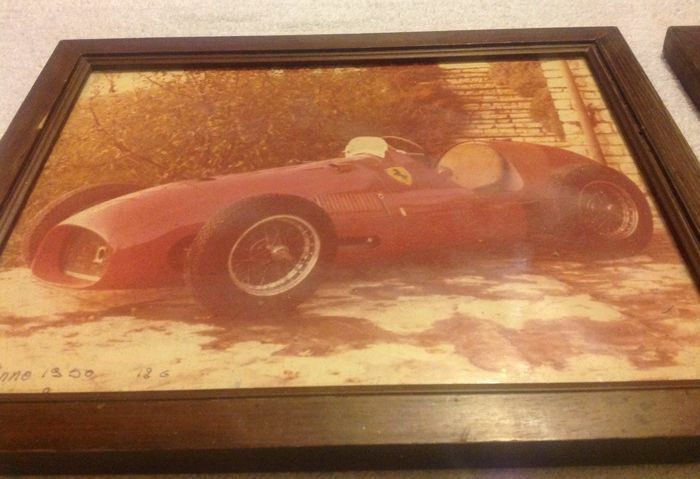 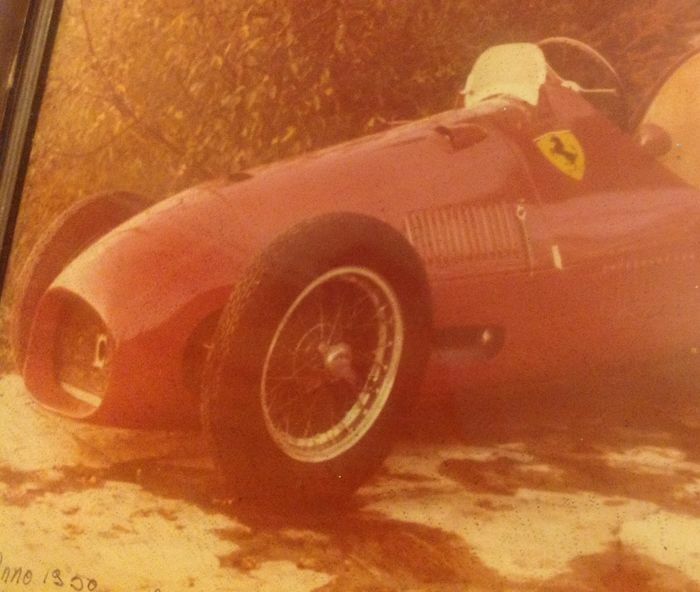 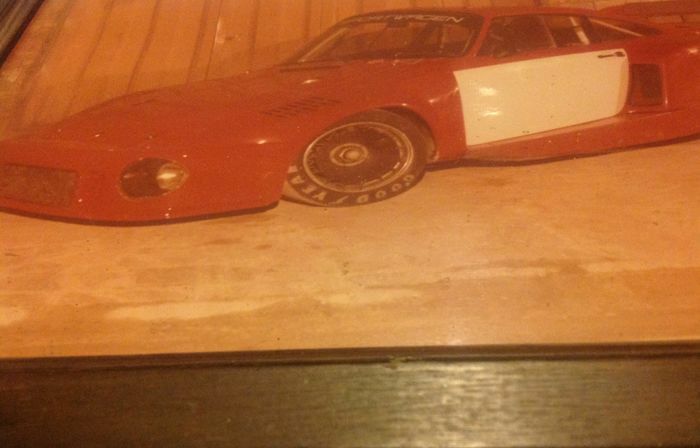 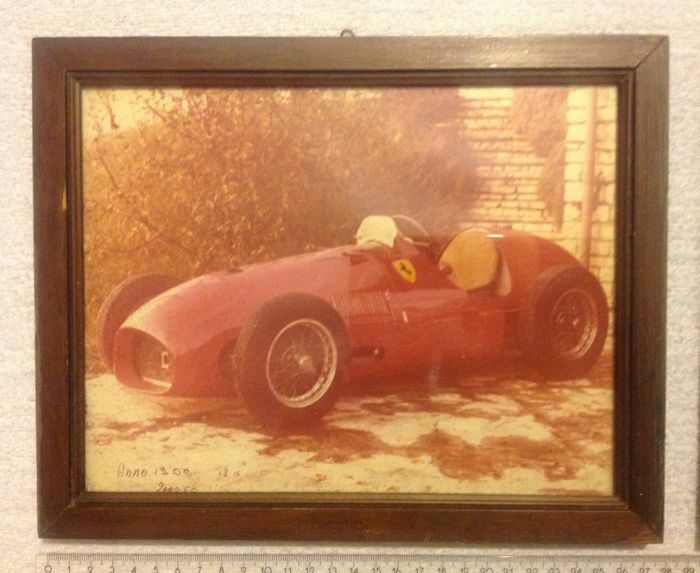 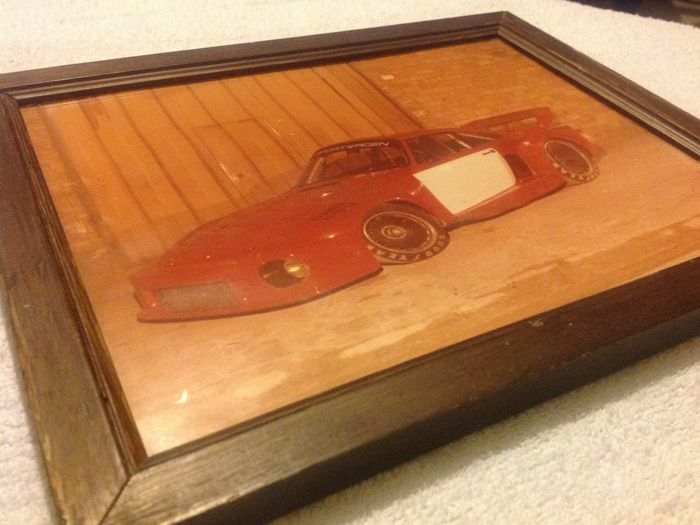 The lot is completed by two pictures (21 x 21 x 1 cm) with a printed photo of a Ferrari (most likely a Ferrari 500, the car driven by Alberto Ascari when he won the world championship in 1952 and in 1953) and of another unidentified racing car. 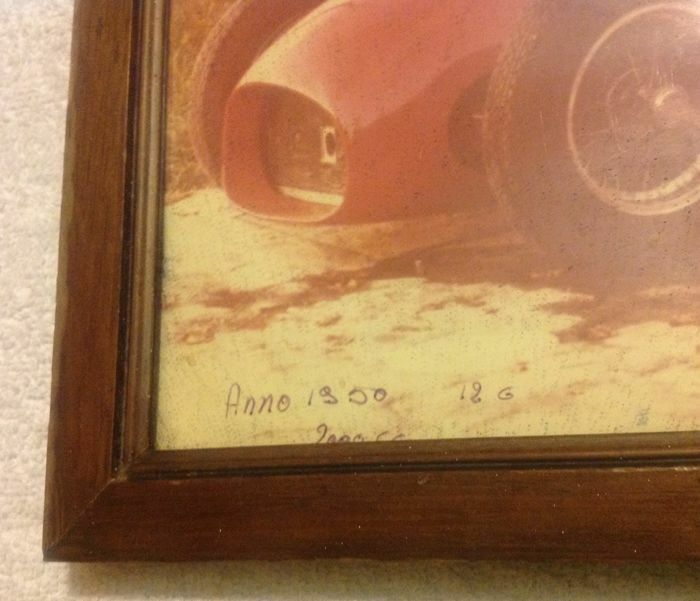 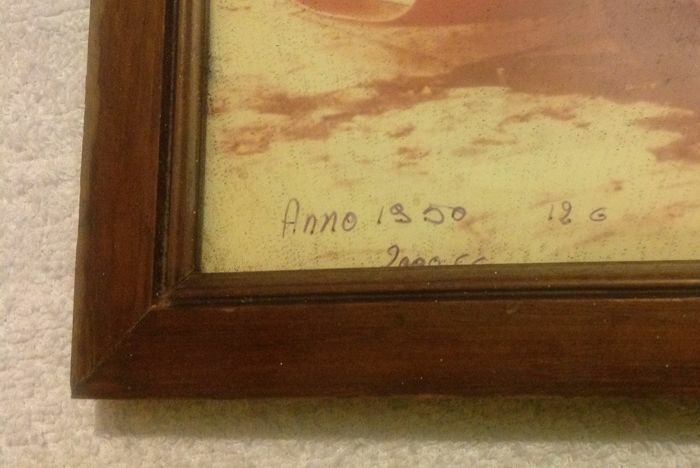 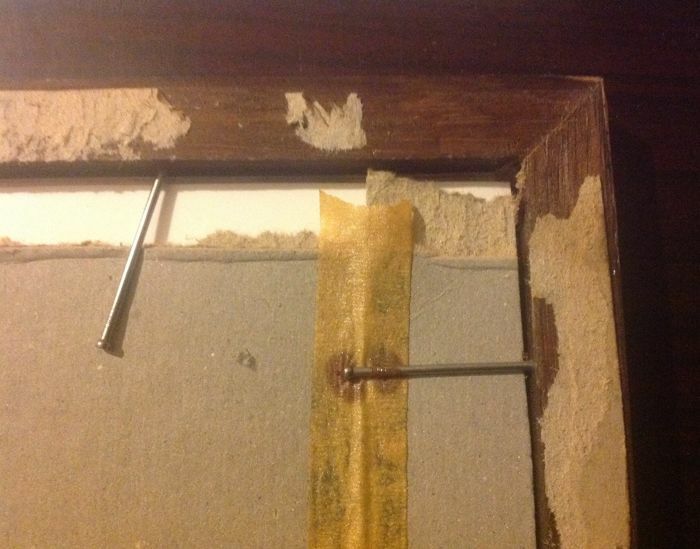 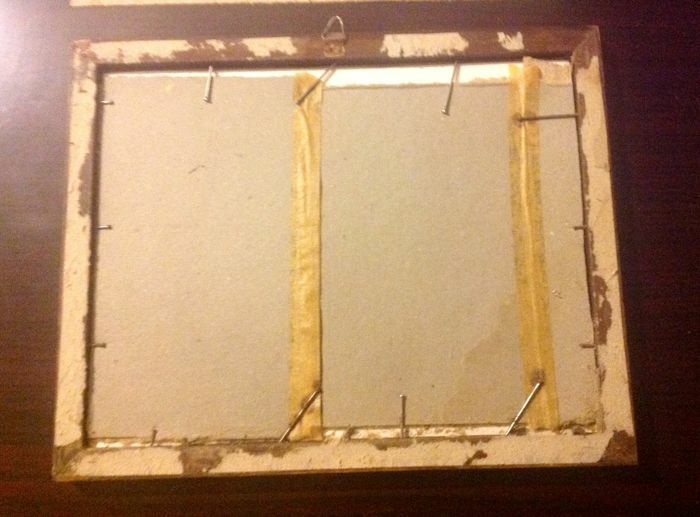 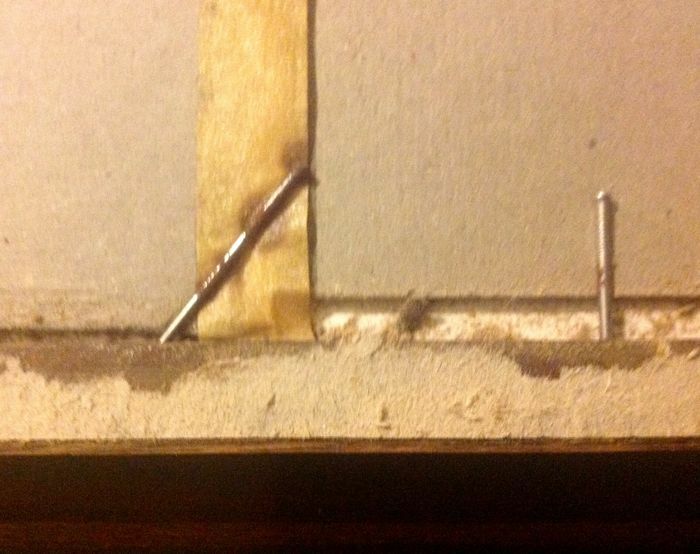 In the bottom of one of the two there is an handwritten note with reference to the year 1950, which seems confirmed by the internal condition of the back of the two pictures (see also the last five photos). 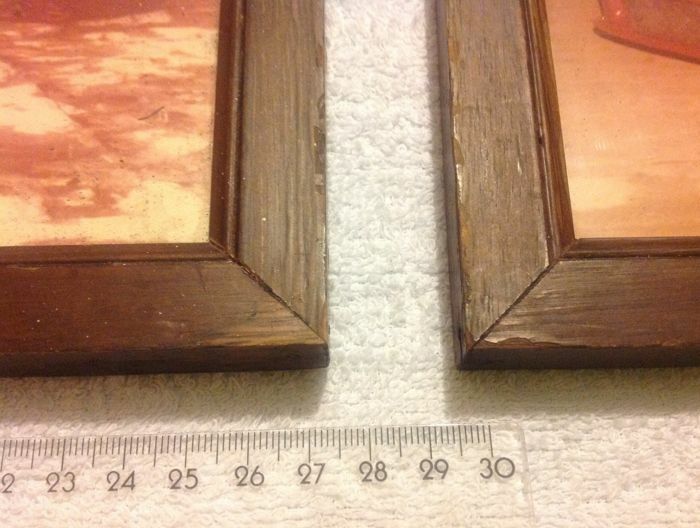 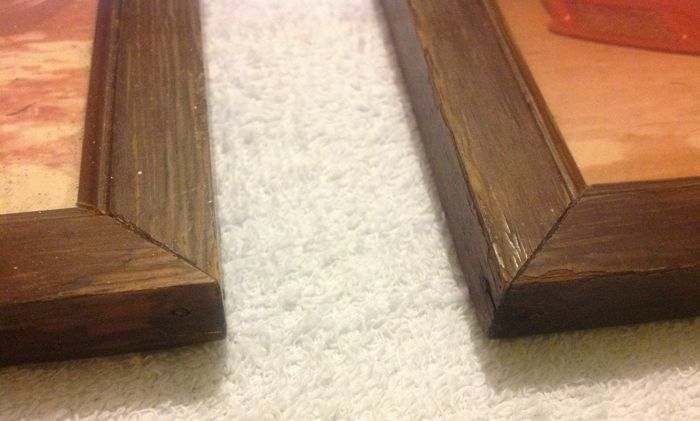 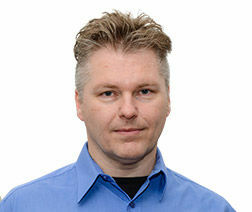 Overall condition of the two pictures are good, although there are obvious some signs of aging. 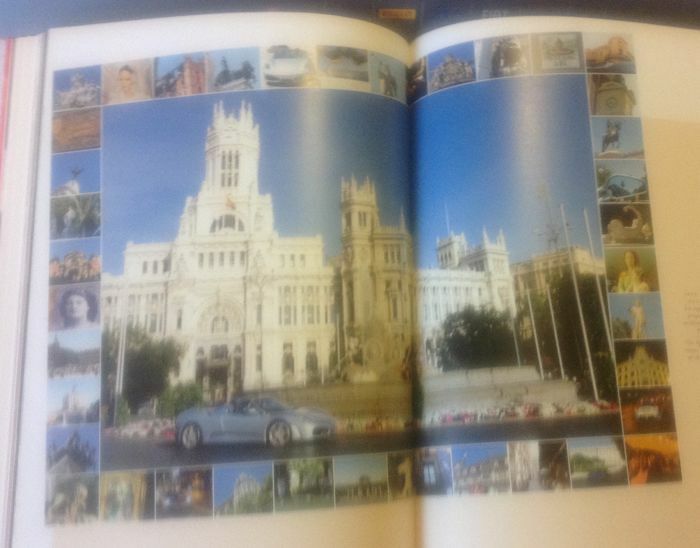 If awarded abroad, the lot will be shipped at the UPS Access Point and Trade (or other carrier) chosen from among those communicated to the buyer via Catawiki, where will be withdrawn by the latter.